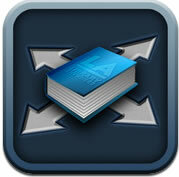 Library blog: Access the Library on your smartphone or mobile device! Access the Library on your smartphone or mobile device! Have you been using Library Anywhere our mobile-enabled catalogue lately? We have been adding some additional services to it in the last month or so. Now you can access mobile friendly ebooks, ejournals and databases. Remember you can also renew your books using Library Anywhere!